Charles was called Jackson by family. Mary was educated at the White House School, (See History), a boarding school for girls in Shocco Springs several miles south of the Pitchford Place. The farm of Charles and Mary was named Horseshoe Bend, also referred to as the Egerton Place. History of the Descendants of Peter Davis 1752 - 1952 edited by Lula Hunter Skillman. Sons Rufus and Sydney were both Confederate soldiers who died of typhoid fever in 1862. Rufus died after a long walk from the battlefield. They are both buried at the old Egerton Place. Daughter Sarah Elizabeth "Sallie" Egerton. 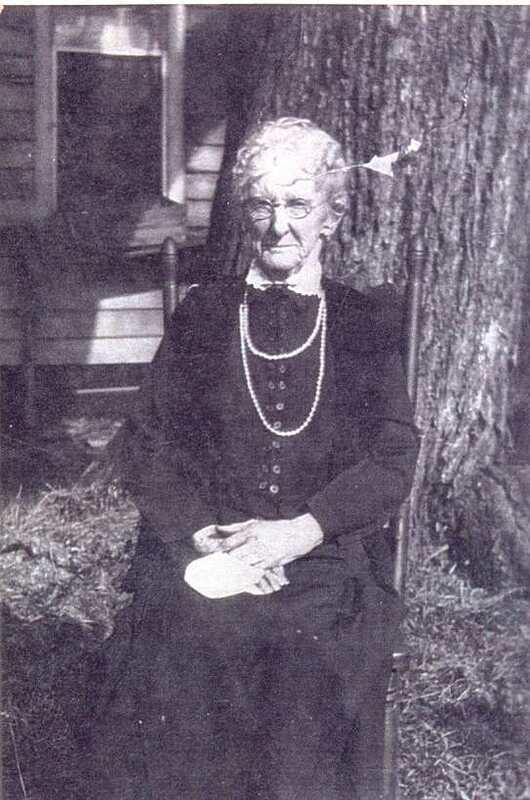 Daughter Mary (Minnie) married Dr. Benjamin Franklin Whiteside, who delivered Rose Martin at home in 1898 in Hickory NC. Charles Jackson and Mary are buried in the family plot at the old Egerton Place. Baker, Blanche Egerton, comp., "Egerton Ancestry," Roxboro, NC, 1946, transcribed by Lisabeth M. Holloway in 1969 from material then in possession of Rose G. Martin Holloway. Eaton, L. Claud, Jr., Our Tree, Alston... Blount...Davis...Pitchford...& related families, publ. by author, Vallejo, Ca., 1993. Holcomb, Brent Howard, comp., Warren County Marriages, p. 55. Holloway, Rose Martin, personal scrapbook, in possession of George Martin Holloway. DAR #149156, v.164, pp 309-310.